The world has always been changing but in this decade we are witnessing the change at an unprecedented rate. It is so apparent that from henceforth every year we'll be surrounded by newer technologies and services. While this constant evolution has a strong positive impact on our lives, it also increases the consumption of resources. Add to it that the population is also growing consistently, if not rapidly. Whatever products we use need to manufactured in factories which utilize resources like water, fuel, and various types of chemicals. The problem is we don't have an endless supply of natural resources, and wastage of artificial resources like chemicals lead to pollution and increased costs. The old-world approach was to utilize the resources like water, chemicals, and gases in manufacturing and then let them into the atmosphere. With this, we not only pollute the environment, but we also add a negative load on the balance sheets. Even worse we actually end up becoming agents in creating the scarcity of the resources in future. The future with the polluted environment and scarce resources would neither be good for mankind nor for businesses. So, if we want to continue to enjoy the comforts and luxuries offered by the modern technologies, we should look at minimizing the consumption of resources and reducing their adverse impact. In fact, we are already seeing the rise of products and technologies that minimize the wastage and mitigate the impact of effluents on the environment. Industries are taking steps to purify the smoke, gases, and liquid effluents before releasing them. They are also constantly on the look out for solutions to recover the used resources like water and chemicals. By definition, adsorption is a simple process in which atoms, ions, or molecules from a fluid adhere to a solid surface which leads to their removal from the fluid. The study of wrecks of Phoenician trading ships from around 450 BC suggests that onboard they used to have charred barrels for storage of drinking water. Why such barrels? Because the carbon of these barrels would attract the impurities to its surface and hence the crew would get purified water. It has also been found that Egyptians used to utilize charcoal to remove unpleasant odours and cure intestinal ailments. The primary reason for the utilization of activated carbon in adsorption is its microporosity due to which it has a huge surface area, about 500 to 1500 square meters per gram. Owing to its huge surface area and non-hazardous nature, it is widely used as an adsorber. 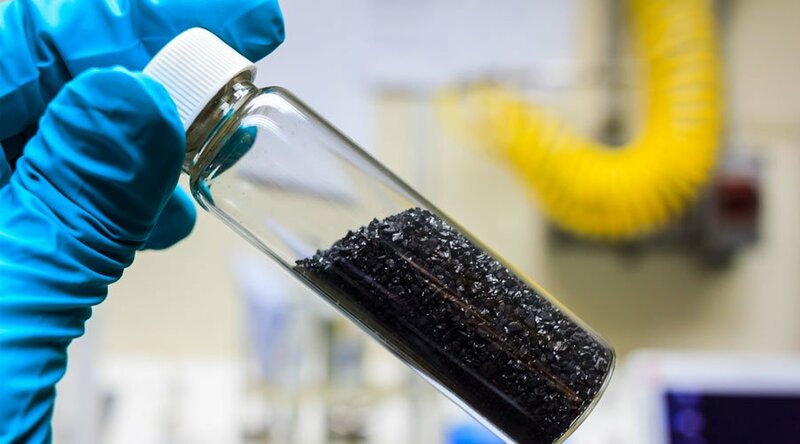 The best part is, after the adsorption process is over, activated carbon can be made to undergo desorption to remove or recover the adsorbed molecules from its surface. Additionally, activated carbon needs a very minuscule amount of contact time (<1 sec) to perform its job. In contrast to the general separation process, activated carbon is very effective in the removal of impurities or molecules which have a very low weight per volume in the fluid. As per size and shape, there are three types of activated carbon available in the industry. They are: powdered, granular, and extruded (pellets). But each one of them is available in numerous grades which can be differentiated on the basis of the raw material utilized, and the process used for activation. The porosity of the activated carbon varies depending on the raw material used. So, the right selection can only be done by studying the nature of fluid to be treated and understanding the objective to be accomplished. So, the success of any adsorption project hinges completely on the selection of the right type of activated carbon, the one that is not only impeccable in terms of quality but is also the exact right match for your needs. How Can Gopani Help You in Recycling and Purification? Whether you want to purify the air, water, chemicals, or any other fluid or you want to recover the spent resources, we can design and build highly effective adsorption systems for you. We have teamed up with Norit to build world-class adsorption systems. Norit is the most dependable on the planet for activated carbon, nobody knows activated carbon better than them. Gopani has an immense amount of experience in designing and executing filtration projects across a wide spectrum of industries. Together with Norit, our Gopani Team is extremely well poised to solve the problems faced by the industries. At Gopani, our focus is on making this earth a cleaner, a healthier, and a more livable space; and the product portfolios that we are right now working with or expanding into are all aimed at making earth a better planet.